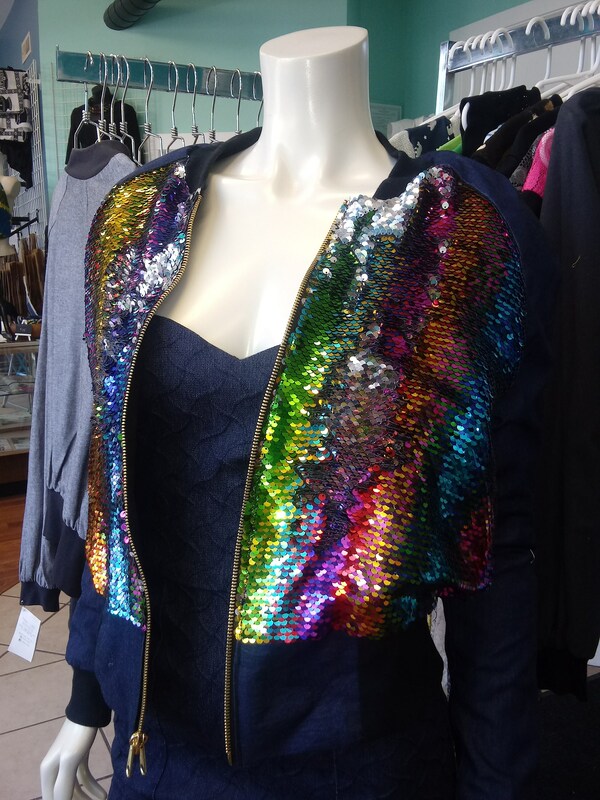 All the brightness of the rainbow and all the style of a bomber jacket. 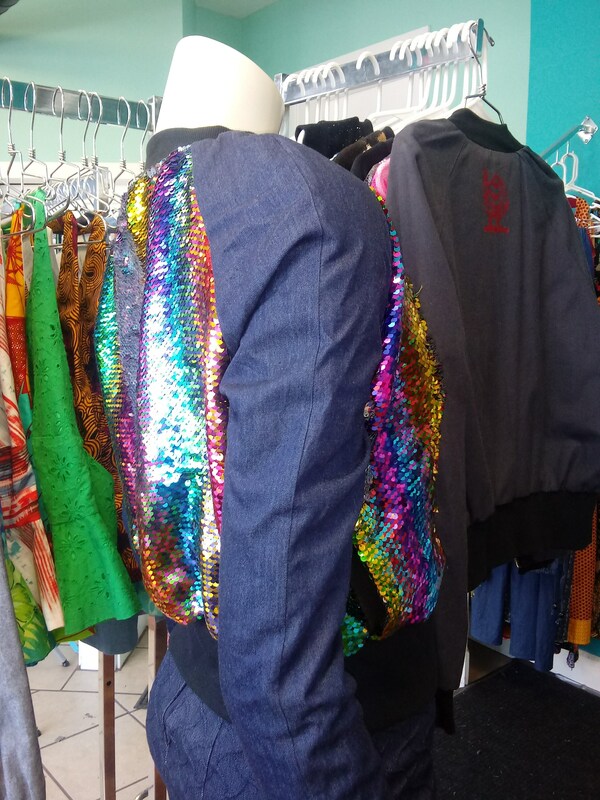 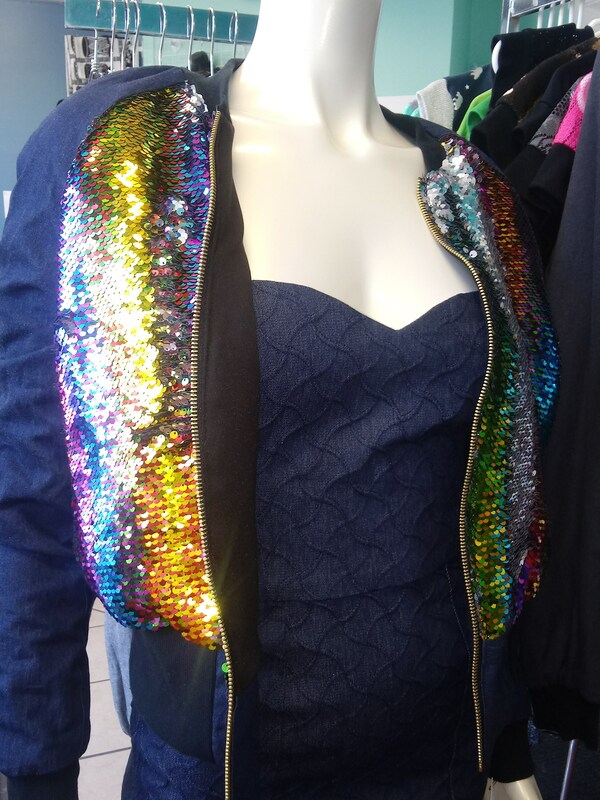 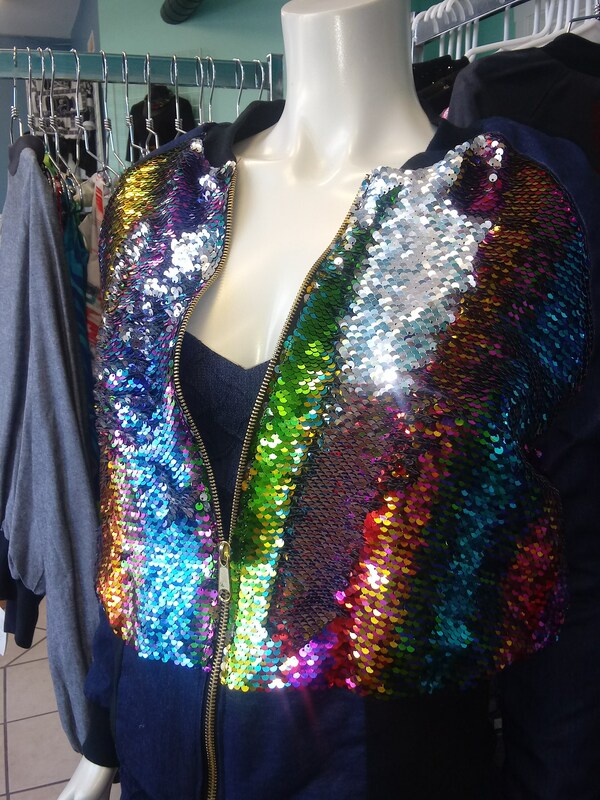 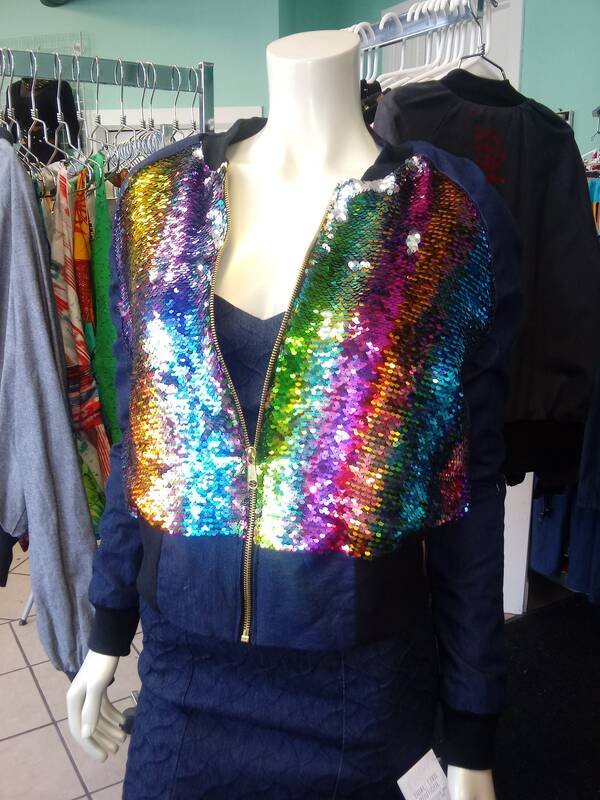 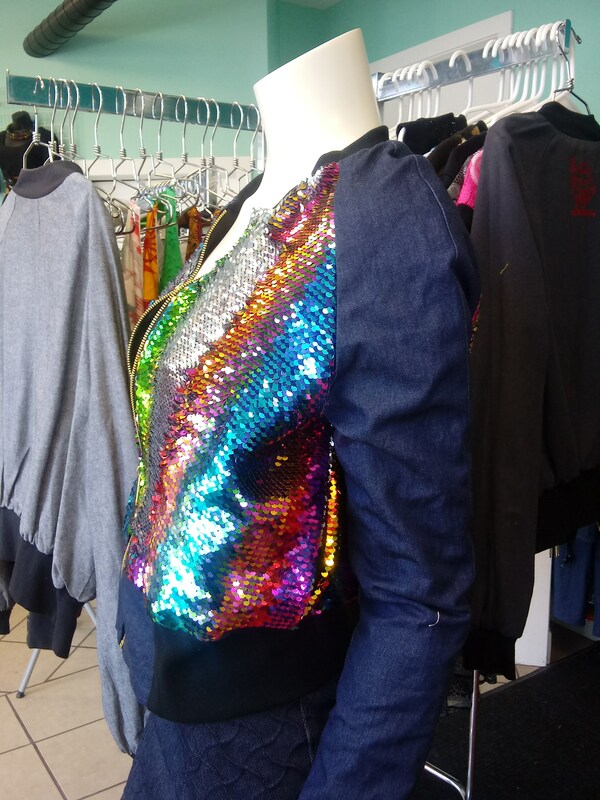 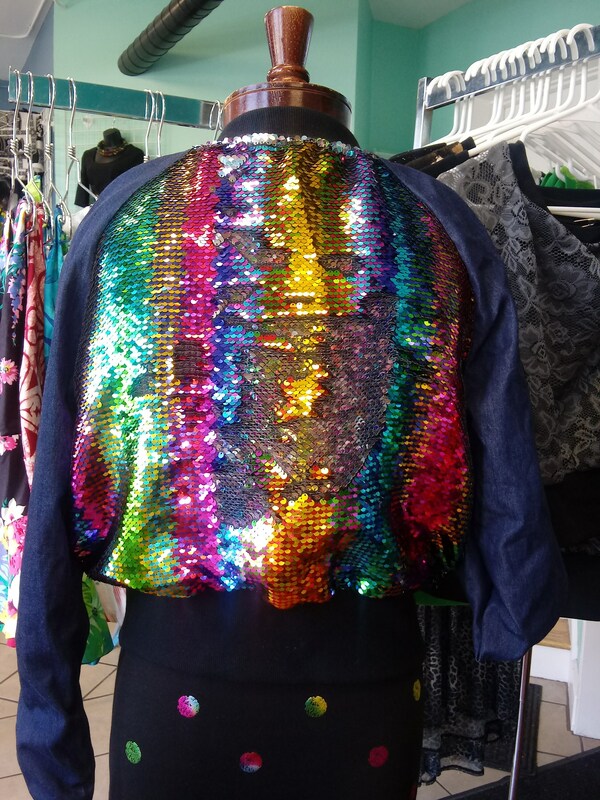 The rainbow sequin fabric flips to silver when you brush your hands against it, This sequin bomber is fully lined, and has side pockets. 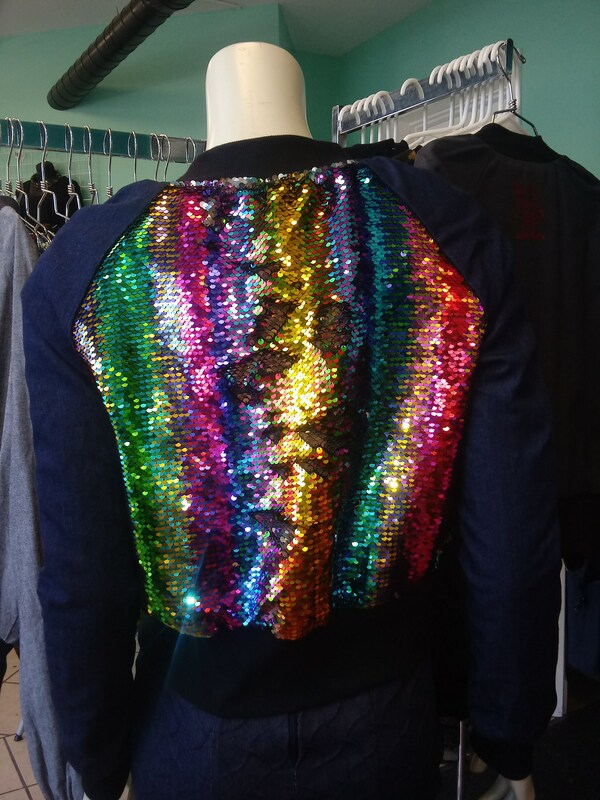 Finished with black ribbing at neck, waist and wrists. 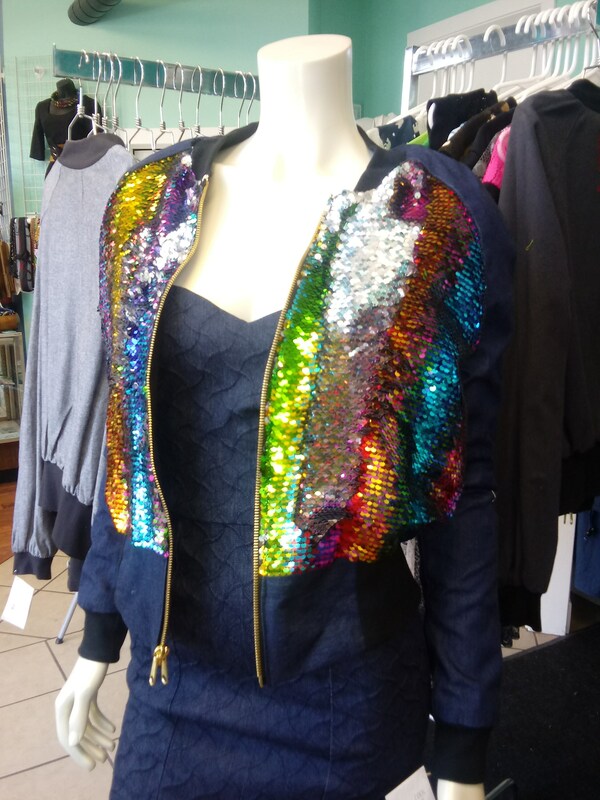 This is sized for women, but the jacket is unisex, please order one size up for men. 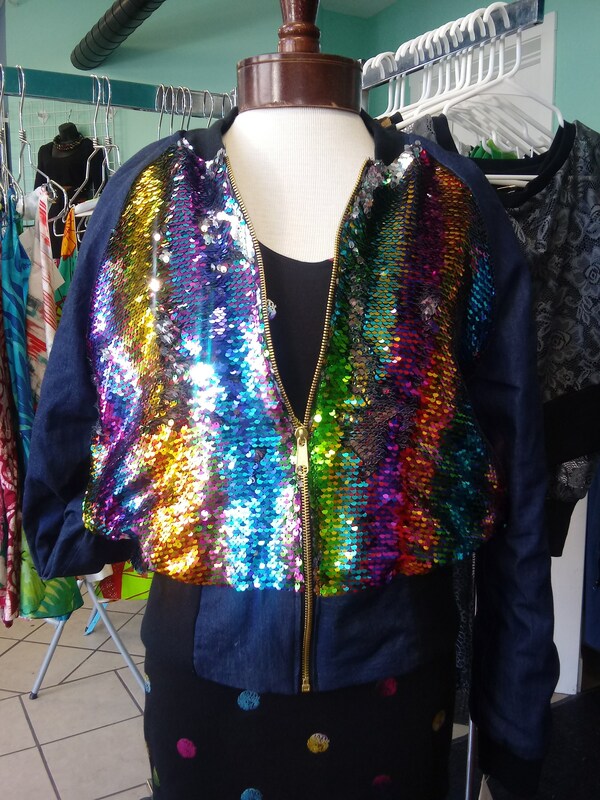 I also have a listing for this fabric in a pullover shirt.